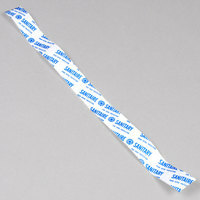 All of the toilet bands we carry are designed to fit any standard sized toilet seat. Plus, since they’re sold in bulk quantities, you’ll have plenty to last for the month, and you won’t have to reorder as often. Additionally, they’re easy to slide onto your toilet seat, so this task won’t take up a lot of your housekeeping staff’s time. 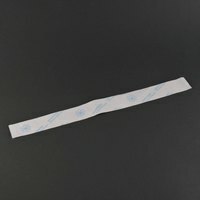 If you operate a hotel, resort, spa, hospital, condominium, or rental house, then be sure to stock up on toilet seat bands. By having these products on hand, you’ll be able to signify that your restrooms have been disinfected. Plus, they can be easily thrown away when your patron has to use the bathroom. For other essential items to have for your hospitality needs, check out our toilet seat covers, facial tissues, and hotel bath amenities. If you're wondering where to buy toilet seat bands, we have a large selection of toilet seat bands for sale at the lowest prices.